THIS classic French dish is so popular, it’s even featured in a movie. 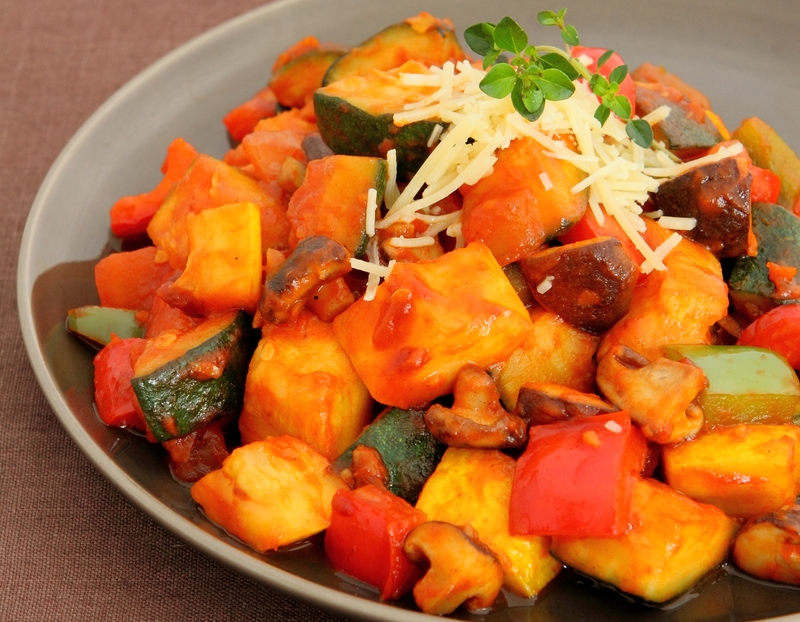 Even if you’re not a veggie lover, Ratatouille may just be the dish that changes your mind with its delightful flavours. In a large pan, heat 2 tbsp palm oil over medium heat, then add mushrooms. Without stirring, brown one side, turn over and repeat the process. Remove the mushroom and set aside. Add the remaining oil and sauté the onions and garlic till onion is soft, then add the zucchini and capsicum. Cook for 5 minutes. Add the remaining ingredients (except for cheese) and simmer till vegetables are tender and mixture thickens.